Lancashire Therapy Lounge provides private Cognitive Behavioural Therapy for children, adolescents and adults who are suffering from emotional distress. 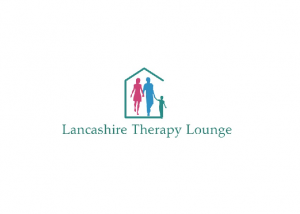 Lancashire Therapy Lounge offer CBT for Stress, Depression, Post-Natal Depression, Anxiety, Obsessive Compulsive Disorder, Social Anxiety, Generalised Anxiety (worry), Phobias, Health anxiety, Post Traumatic Stress Disorder, Childhood Trauma, Panic, Agoraphobia, Body Dismorphic Disorder, Low Self-Esteem, Perfectionism, Eating Disorders, Insomnia, Trichotillomania and a range of other difficulties. Mel Greenhalgh is a qualified and experienced Cognitive Behavioural Psychotherapist based on the Fylde Coast. Mel is accredited by the British Association for Behavioural and Cognitive Psychotherapies (BABCP). Mel is based on the Fylde Coast, but is able to offer sessions in a number of locations across Lancashire, as well as by Skype or telephone. ​In addition to Cognitive Behavioural Therapy, Mel offers Solution-Focused Brief Therapy, Compassion Focused Therapy and Cognitive Behavioural Analysis Systems of Psychotherapy (CBASP). Mel has worked in the NHS for 12 years as a psychological therapist. She completed her training as a Cognitive Behavioural Psychotherapist in 2009 at the Salford Cognitive Therapy Training Centre, known commonly as one the country’s three main national centres of excellence for training in this field. Mel has worked as a CBT Therapist, Senior CBT Therapist, Clinical Lead for CBT, and she currently works as the Programme Lead and Senior Lecturer for the MSc/PGDip Cognitive Behavioural Psychotherapies Courses at University of Bolton. Mel has worked extensively as a clinical supervisor of CBT practice. She has been responsible for providing clinical supervision to trainee and qualified CBT therapists, as well as delivering training in CBT to Psychiatrists in training. Sessions take place at Unicorn House in Blackpool, with ample parking on site and in a comfortable and confidential environment. Visiting to Unicorn House is strictly by appointment only. Please telephone to arrange an appointment with Mel Greenhalgh.